OVER 7 ACRES NEAR DOWNTOWN! This gorgeous 7.57 acres has a ton of useable land and is just footsteps away from downtown! This property takes in a nice elevated plateau overlooking the valley with mountain views. Nice variety of native forest including madrone, pine and oak trees; this helps create natural privacy. An old driveway leads to the top part of the property, and development should be pretty straight-forward as there is a lot of level land to work with. Power is at neighboring property, and agent is confirming whether city water and sewer are available here as the property is within the water district - info to be updated once confirmed. 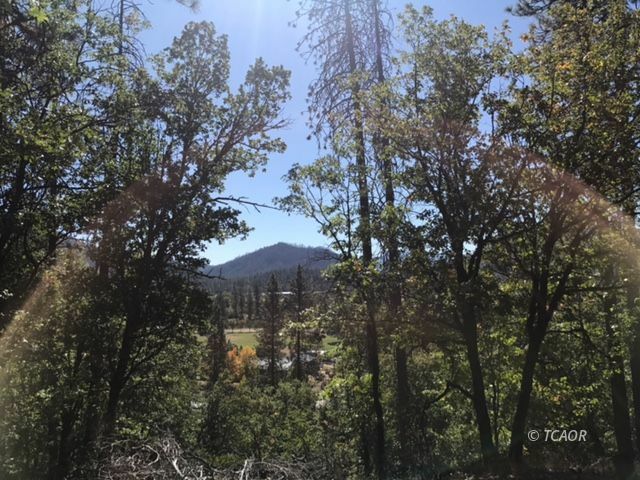 Zoned Rural Residential, with 2.5 acre minimums (per county) means this parcel might be able to be split into 2 or 3 parcels, offering future value potential. You won't find such a beautiful piece of land so conveniently located yet so private on the market today, check this one out!